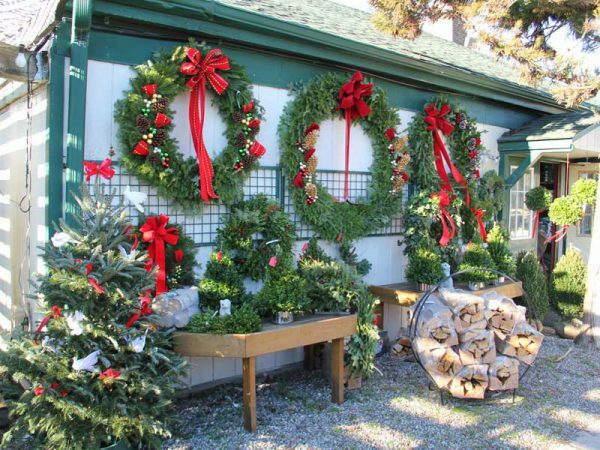 At Country Mile Gardens we offer a great selection of Christmas and Holiday goods to bring cheer to your home. We take great pride in bringing in only high quality fresh material and offering them at great prices. 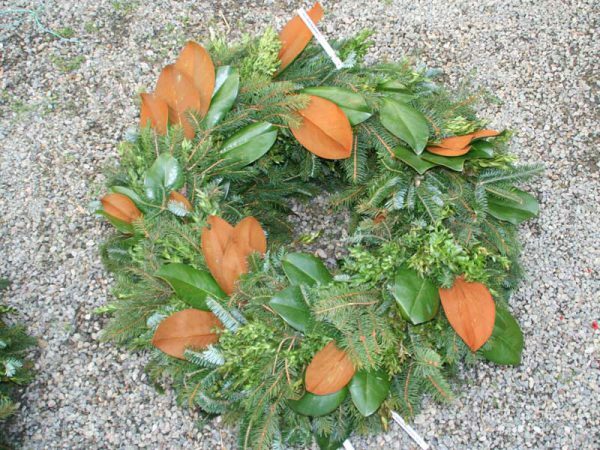 Our wreaths are shipped direct from our supplier in Maine and come in extremely fresh. We have cut out the middle man to get the fullest and freshest wreath for our customers. 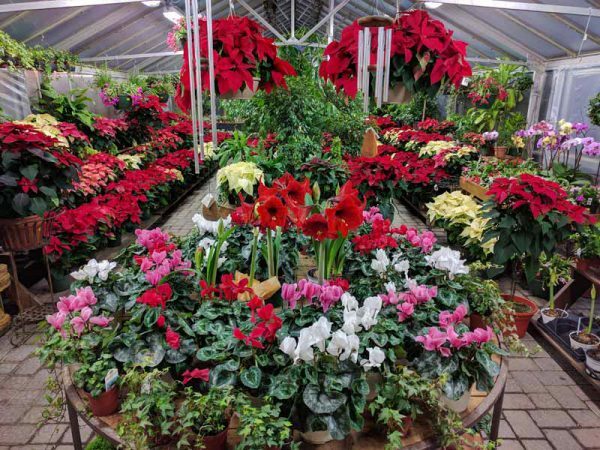 We also visit the local poinsettia growers every year to make sure that we are getting the largest and most colorful plants every year so our customers are getting the best product. 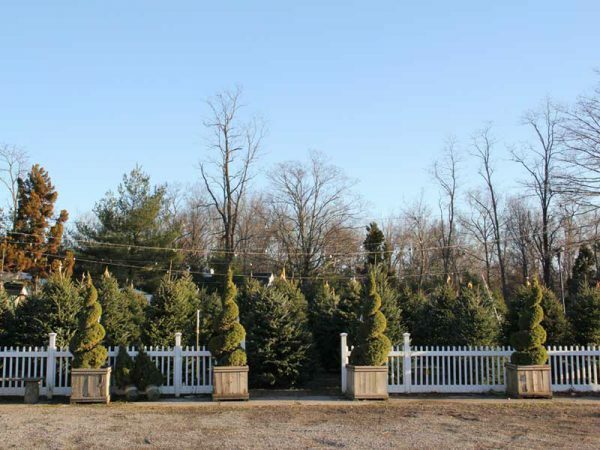 Our Fraser, Douglas and Concolor Christmas Trees are sourced locally from Pennsylvania and we visit our growers every summer to make sure we are getting only the best trees. In addition to the time we put into sourcing great material, we also hand make a lot of our decorations including all of our bows, our awesome boxwood kissing balls, our mailbox swag, our grave blankets, and our huge assortment of custom mixed wreaths. 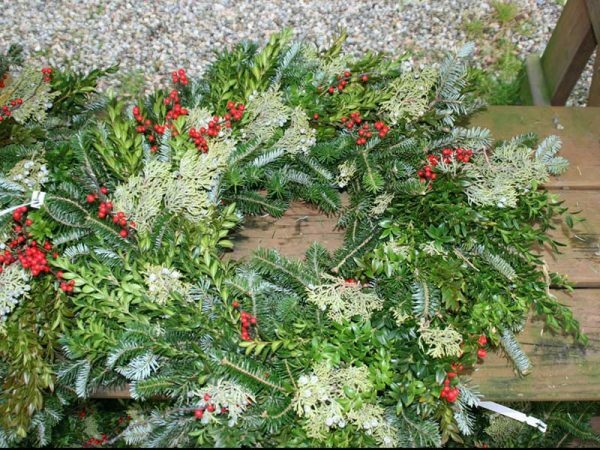 We can make any wreath you want out of the following materials: Boxwood, Norway Spruce, Blue Spruce, Douglas Fir, Balsam Fir, Fraser Fir, Southern Magnolia, Winterberry Holly, Regular Holly, White Pine, and Concolor Fir. From 8″ to 48″, we can make you an unbelievable custom wreath to suit your specific taste. We also offer materials for the customer who likes to do it themselves including a wide assortment of cut greens, bows, Magnolia branches, Winterberry Holly branches, painted Birch branches, and three different types of roping / garland. We offer White Pine roping, thick Oregon Mixed roping, and high end Princess Pine roping. For those looking for live decorations we also have round Boxwoods, cone Boxwoods, Alberta Spruces, and a handful of other evergreens that work well in planters by your front door. We also offer live Christmas trees including Norway Spruce. Finally, we are a family owned company since opening our doors in 1977 and know that this time of year is a special tradition. We want to be a part of your tradition. For the first two weekends in December we give back to the community and donate $10 for every Christmas tree we sell to two local charities that we have supported for the last 10 years. The first weekend in December we donate to the Kevin Hannaford Foundation which was founded after 9/11 and assists children who suffer the loss of a parent in pursuing educational opportunities. The second weekend we donate to the Morristown Homeless Solutions which offers shelter, services, and support of homeless and low-income families. Over the last 10 years we have raised over $30,000 for these two charities! In addition to donating we also offer complimentary Hot Dogs, cookies, drinks, and hot chocolate. We hope you will make Country Mile Gardens a part of your tradition. We look forward to seeing you!